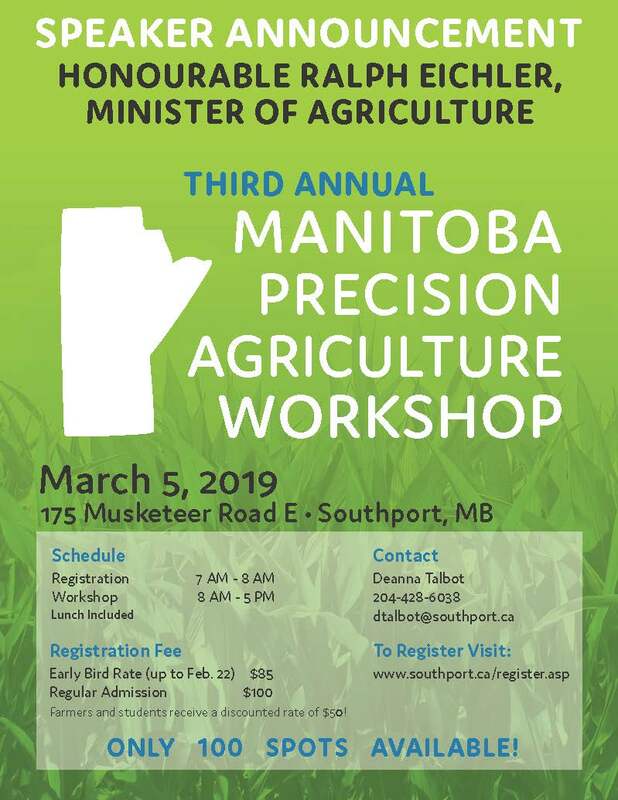 Save the date for the third annual Manitoba Precision Agriculture Workshop at Southport and hear from speakers including Minister of Agriculture, Hon. Ralph Eichler! Register before Friday, February 22 for $85! After February 22, the rate goes up to $100. 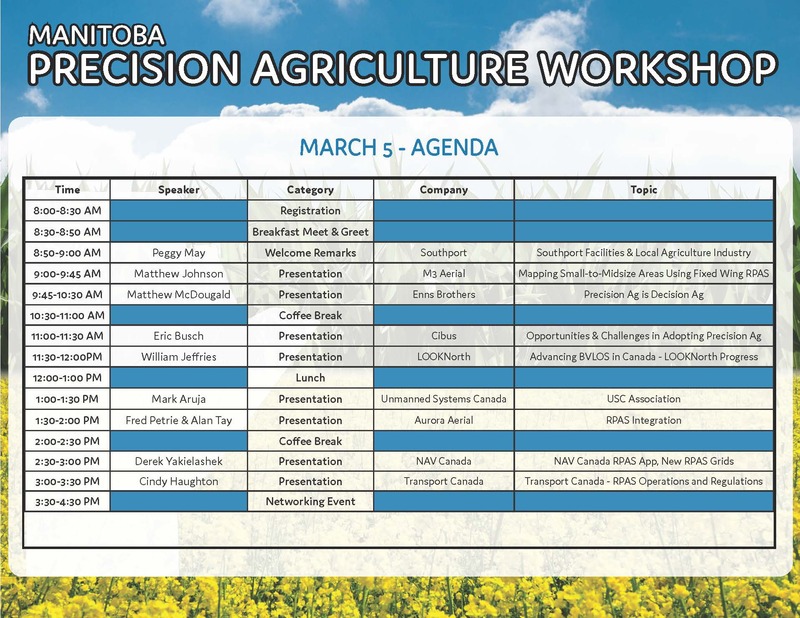 The agenda may be updated as we fill in the remaining speakers. Interested in speaking? Contact us. See the program.